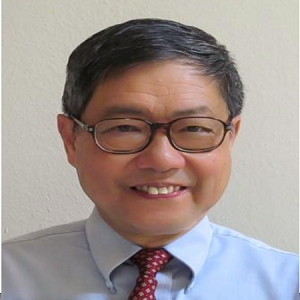 Dr. Willie W. Ng is currently a Research Professor of Electrical Engineering at the University of Southern California (USC). Prior to joining USC in 2013, he spent close to three decades at HRL Laboratories, Malibu, CA, where he was a Principal Research Scientist, Program Manager and Department Manager. Under DARPA and U.S. Air Force sponsorships, he led HRL teams that demonstrated a variety of photonic devices/subsystems designed for microwave antenna systems and ultra-wideband signal processing, including RF-photonic filtering and photonics-assisted analog-to-digital conversion. He has given many invited talks in IEEE/OSA Conferences and DARPA Symposiums, and is the author and co-author of over 100 journal articles and conference papers. He holds 26 U.S. patents in the area of photonics technology, with many pending. Cited for pioneering contributions to microwave photonics, he was one of six individuals selected to receive the Excellence in Technology Award in 2005 from the Raytheon Company. Prior to HRL, he was a Member of the Technical Staff at the Rockwell Science Center, Thousand Oaks, Calif., where he developed GaInAsP/InP buried heterostructure lasers and power converters. He received his B.S. degree in Electrical Engineering from Case Western Reserve University (Cleveland, Ohio), and his M.S. and Ph.D. degrees in Electrical Engineering from the California Institute of Technology (Pasadena, Calif.) under the guidance of Prof. A. Yariv. His thesis work was on the demonstration of GaAlAs/GaAs Distributed Bragg Reflector lasers and Bragg waveguides. He is a fellow of the IEEE, and serves on the 2013-2015 CLEO (Conference on Lasers and Electro-Optics) Technical Committee. Prof. Willie Ng conducts research in photonic devices/subsystems designed for microwave antenna systems and ultra-wideband signal processing, including RF-photonic filtering and photonics-assisted analog-to-digital conversion. His related research includes the high frequency modulation of semiconductor lasers and the characterization of wideband electro-optic modulators.